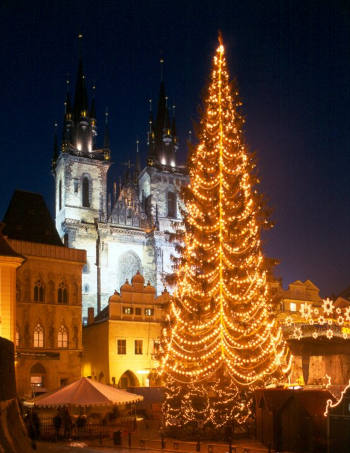 Take a relaxing winter holiday to Prague this year and wander through the enchanting Christmas markets, the perfect place to stock up on traditional Christmas trinkets or find a wonderful gift for friends and family back home! Most shops and shopping centers are open but close early, between 2pm and 5pm. The shops and shopping malls closer to the city center close later. The following days (25th and 26th), only some shops are open. Again, in the city center you will likely find open shops. Most restaurants in the center will be open, some offering a special Christmas menu. It is recommended to make a reservation especially for better restaurants. metro: run according to the Saturday schedule till 6pm, afterwards it runs with 15 minutes intervals. Last trains leave the terminal stations before 1am. trams: run according to the Saturday schedule till 6pm, afterwards there will be only the night trams in service (with usual intervals of 30 minutes). buses: run according to the Saturday schedule till 6pm, afterwards there will be only the night buses in service. Petřín funicular: last car leaves at 6pm.